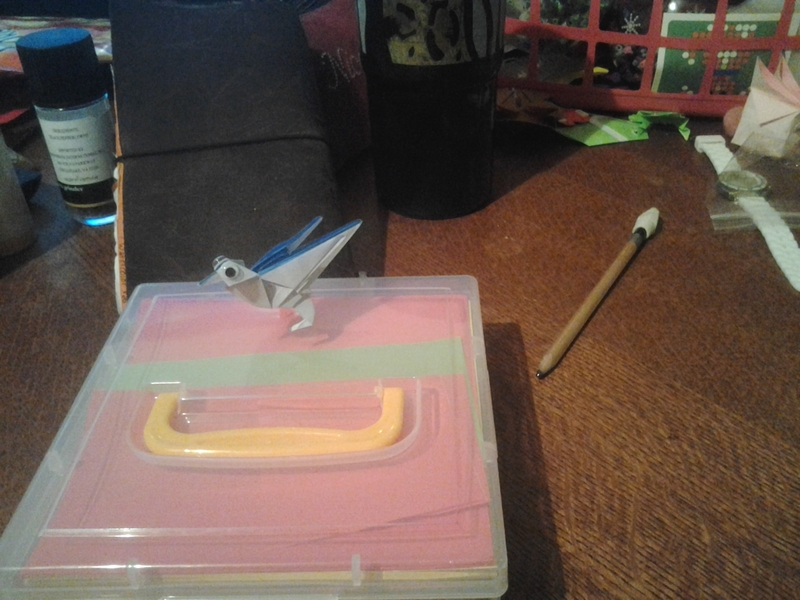 I’ve been playing with my origami paper for the past few days. I just finished a little bird that I thought turned out particularly cute and wanted to share. 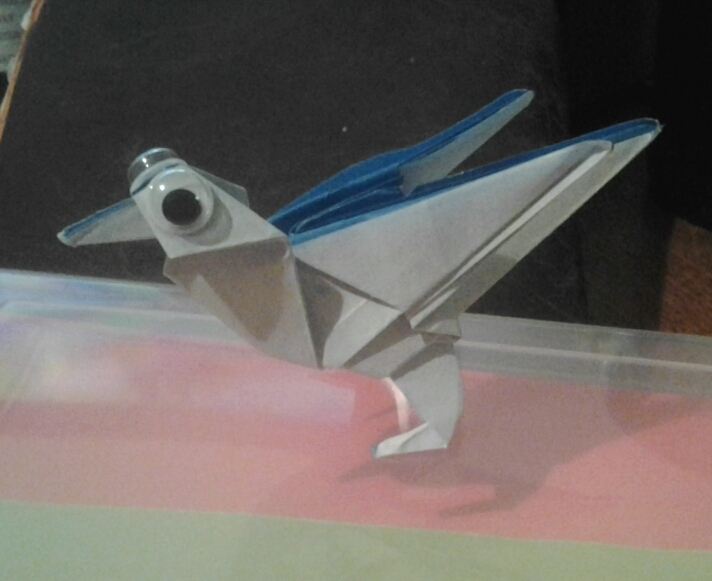 I folded him with 6″x6″ origami paper and he turned out to be about 2″ tall.